Rebecca - We invited every local authority in England and Wales to give us information on any changes that they had made to street lighting and if they had made any changes to street lighting, what were the dates of those changes and what were the locations. And then we're able to use data from the police on the locations and timings of road traffic casualties and crimes. And then we were able to model whether any changes in street lighting provision were associated with any changes in road traffic casualties or crimes. Kat - And are they? is the big question. Rebecca - So in the end, we were able to get data from 62 local authorities which included over 25,000 kilometres of road where there had been some form of street lighting change and we found no evidence that these were associated with increases in road collisions or crimes. Kat - Given that there are negative impacts of lots of light at night in our cities and towns and given that it costs a lot of money, can't we just turn all the lights off? Surely, that's the solution. Rebecca - It's important to note that local authorities consider a lot of things when they're thinking about reducing street lighting. So, we were only able to evaluate what's already happened. Local authorities have thought very carefully about where they want to change street lighting provision. They think about things like how much motorised and non-motorised traffic is on the road, how much other light sources there are, whether there's a history of collisions or crime on those roads. So, they've chosen these roads very, very carefully. And I think it's just that these need to be chosen very carefully in the future as well. So, our study doesn't suggest that you can just turn off lights on any road and it will be safe - definitely not. Kat - And I guess in terms of public perception, you may say, "Look, it's perfectly safe if we lower the levels of lighting in this area" but does that mean that people will still feel safe? What's the data around that? Rebecca - That's a good question. So, we had part of our project, we went and talked to people in 8 different local authorities where they had made some changes to their street lighting provision. And we found that that came across very strongly, that lots of people said that they felt less safe walking around the areas in which they had changed street lighting. That's a possible mechanism to explain why we found nothing. It could be the reason that road collisions and crimes aren't increasing is because less people are leaving their houses. It's very possible that that's happening. Kat - Are there things the councils could do to minimise the impacts on things like wildlife and health rather than just completely turning the lights off? Rebecca - Sure and very few local authorities are completely turning their lights off. There are range of strategies that we looked at. Turning off lights between the hours of say, midnight and 6:00 am when very few people are out anyway. It's one strategy that lots of local authorities are employing. Another common strategy is dimming the lights. 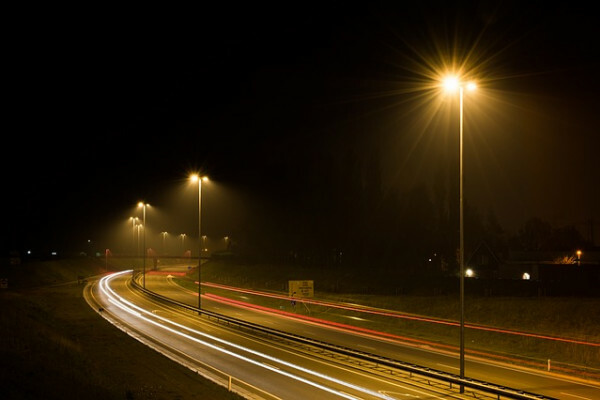 Another common strategy is switching to LED - more energy efficient lights - which changes the quality of the light and those are sort of the strategies that local authorities tend to be doing rather than turning them off during all hours of the day. Previous Are your gut bugs making you moody? Why does glass allow light through, and how does it speed up again?